1 A None No Power Seat 1 A has extra legroom. 10 A None No Power Seat 10 A has limited recline. 10 C None No Power Seat 10 C has limited recline. 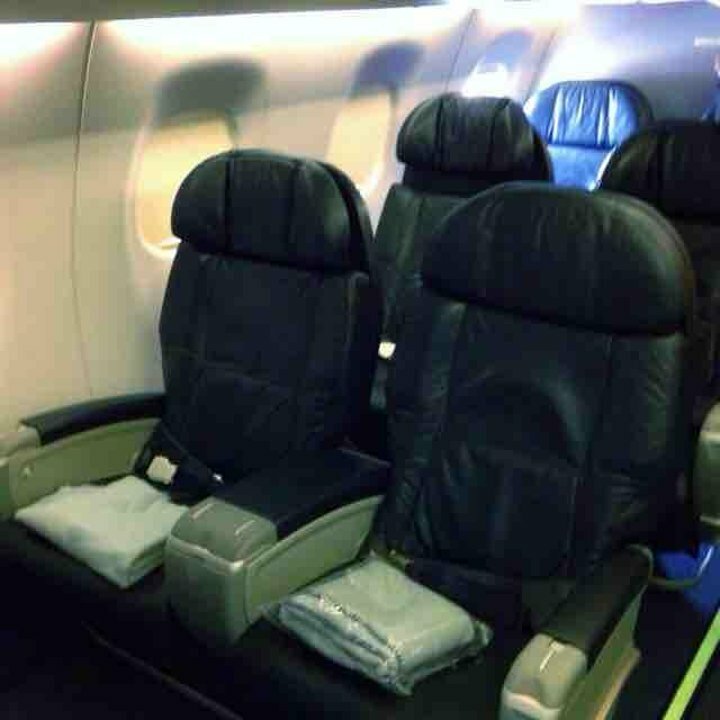 10 E None No Power Seat 10 E has limited recline. 10 F None No Power Seat 10 F has limited recline. 17 A None No Power Seat 17 A has extra legroom. 17 C None No Power Seat 17 C has extra legroom. 17 E None No Power Seat 17 E has extra legroom. 17 F None No Power Seat 17 F has extra legroom. 2 E None No Power Seat 2 E has extra legroom. 31 A None No Power Seat 31 A does not recline. The proximity to the lavatory and galley may be bothersome. 31 C None No Power Seat 31 C does not recline. The proximity to the lavatory and galley may be bothersome. 31 E None No Power Seat 31 E does not recline. The proximity to the lavatory and galley may be bothersome. 31 F None No Power Seat 31 F does not recline. The proximity to the lavatory and galley may be bothersome. 5 A None No Power Seat 5 A has restricted legroom. 5 C None No Power Seat 5 C has restricted legroom. 5 E None No Power Seat 5 E has restricted legroom. 5 F None No Power Seat 5 F has restricted legroom. 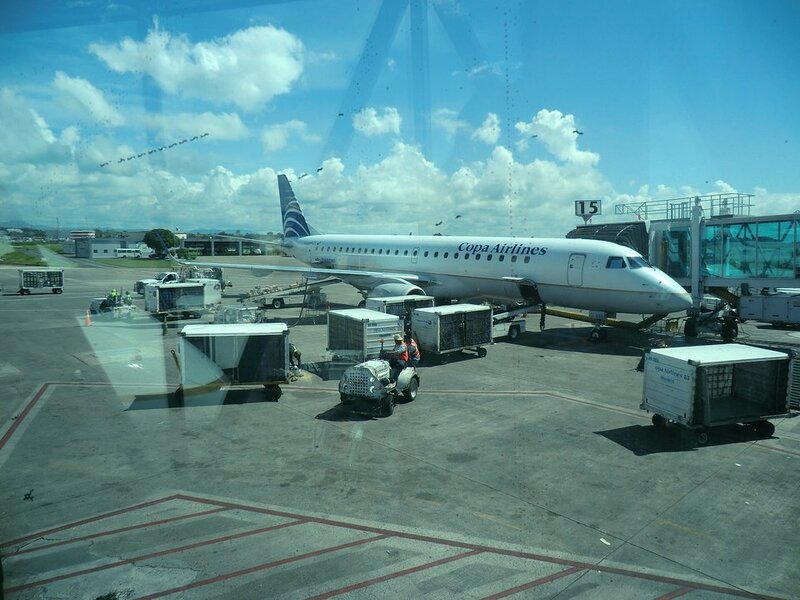 Copa Airlines offers a variety of music channels on this plane available in all classes. The ERJ-190 features the latest advances in technology, such as winglets; efficient, powerful General Electric CF34-10E engines. It also features the latest in Honeywell Corporation aviation equipment. 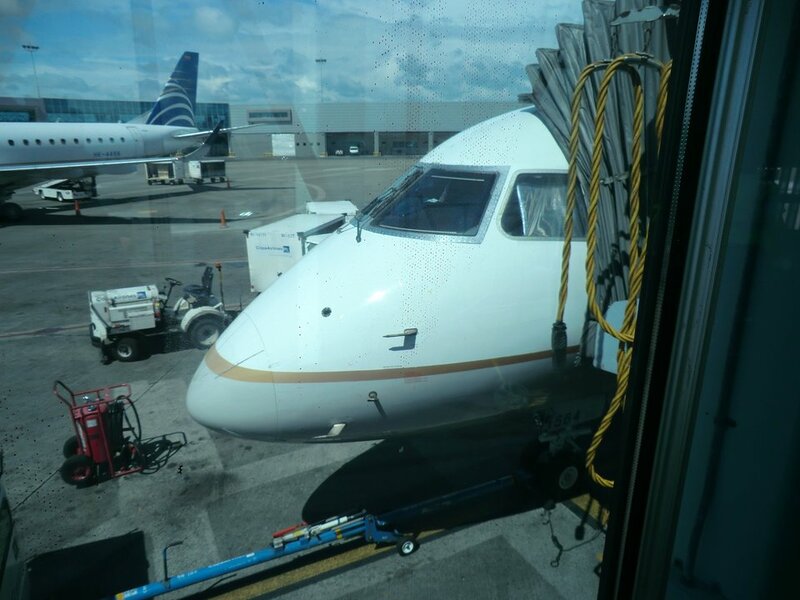 This plane in Copa's fleet allows the airline to balance capacity and demand in smaller markets that are served more efficiently with a 94-seat aircraft. It's a fairly comfortable seat, especially wide. There is more space for the knees compared to other aircraft. The only negative point for this aircraft is that IFE is zero. 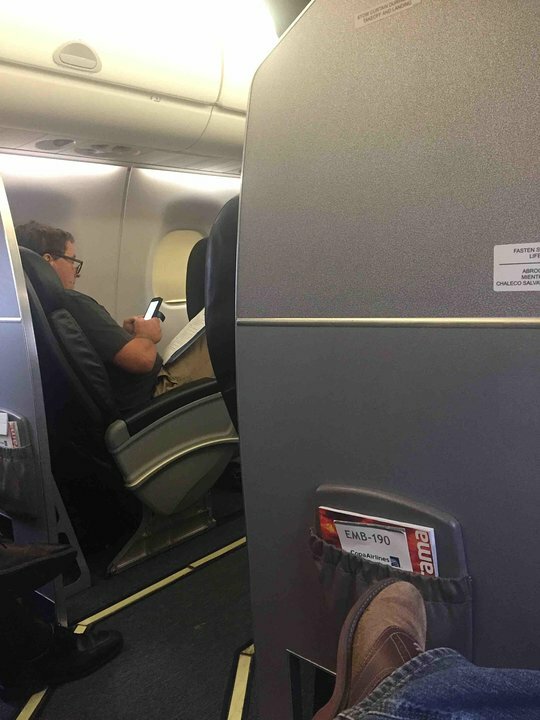 Despite the fact that this seat is in front of the bulkhead dividing business from economy class, it can have even a regular carry-on bag placed in front of the passenger, thanks to a hole in the bulkhead at the floor level. 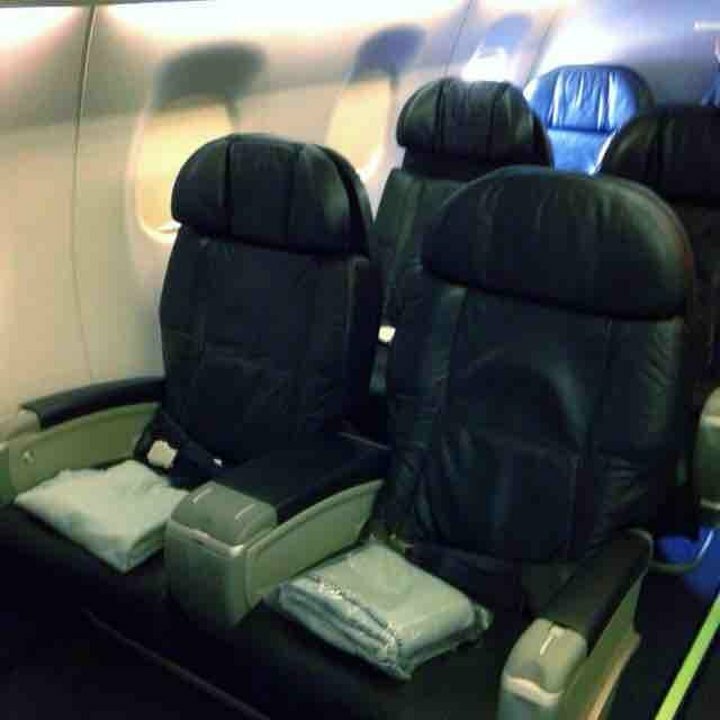 Same for seat 5E. There is still enough legroom for a comfortable short trip.